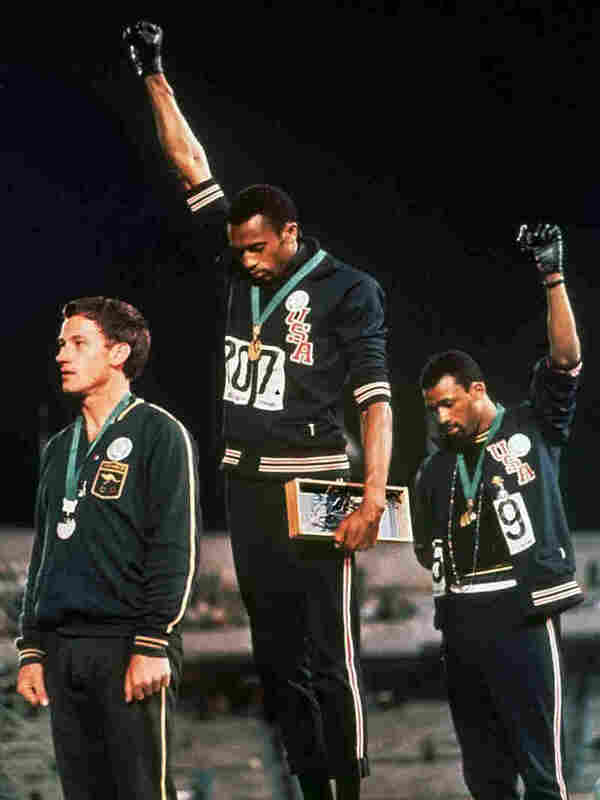 Sports And Activism: What Do You Want To Know? We want to hear from you. What do you want to know about the intersection of sports and activism? Tell us your questions. Then-San Francisco 49ers quarterback Colin Kaepernick kneels during the national anthem in a game against the Dallas Cowboys last year. Players have spoken up for him, and some joined in his protest. Coaches have supported him, and some have called him out. President Trump called protests like Kaepernick's disrespectful to the flag. At the 1968 Olympics, U.S. athletes Tommie Smith (center) and John Carlos protested during the playing of "The Star-Spangled Banner" after Smith received the gold and Carlos the bronze medal in the 200 meter run. In 1967, Muhammad Ali cited religious reasons for refusing to be inducted into the U.S. Army. His heavyweight title was stripped and he was later convicted of draft evasion, a conviction that the Supreme Court overturned in 1971. In the 1968 Olympics, after winning the gold and bronze medals in the men's 200 meters, U.S. Olympians Tommie Smith and John Carlos raised their fists, each wearing a black glove, during the medal ceremony to make a statement about human rights. Later, both were suspended from the U.S. Olympic team. In 2014, five St. Louis Rams players walked on to the field with their hands in the air, in the "Hands up, don't shoot" pose, to show solidarity with the protesters in Ferguson, Mo., after the shooting of 18-year-old Michael Brown. 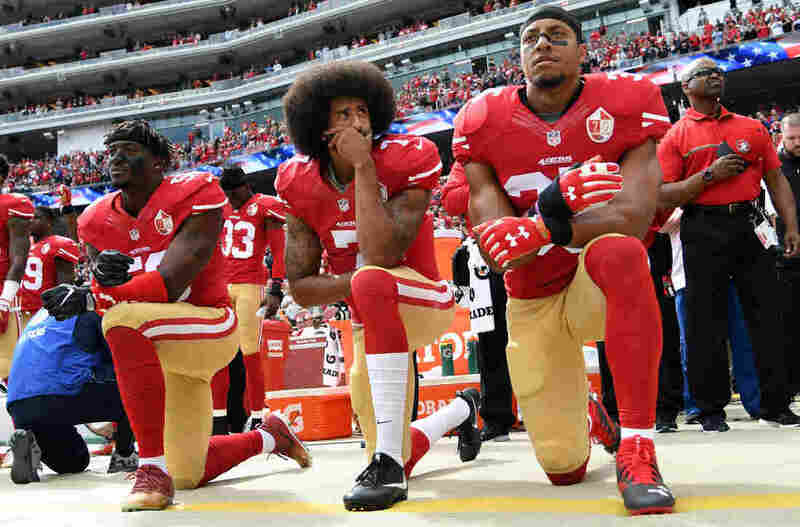 In light of these examples, and numerous others, we want to hear from you: Do you have questions about the intersection of sports and social activism? Thank you for your questions! We have picked some to answer and have answered them here.